An early morning pick-up from your accommodation starts this delightful day off right, with a fresh continental breakfast before boarding your boat. 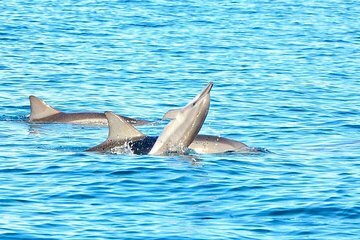 Spend the day snorkeling in the clear blue water and experience the joy of swimming with wild dolphins in their natural habitat. A barbecue lunch on the beach and plenty of time to relax in the sun round out this unforgettable day. The exact departure time will depend on where the guest is staying, but will be between 5:30am and 6:30am. The exact departure time will be provided once the reservation is made.